One of the simplest and still the most impressive examples of cream leather dining chairs that will look good with wooden dining tables are chairs with wooden legs, perfectly matching your wooden tables. On the whole, the most amazing and time relevant combination would be to go with cream chair upholstery and oak legs. A perfect fit for a genuine oak dining table, this kind of set will give any dining room a rich and elegant touch. It is not always necessary to look for matching wood type. In a modern dining room, it is also possible to explore bar stool inspired chairs with a leather cushion, chrome base and — maybe even — chrome back. This is a very neutral idea that will match virtually any wooden table. With a vintage dining room, it is crucial to stick to the same vintage designs. There are plenty of possible options in this category — from massive baroque style models to simpler, more compact chairs upholstered in light shades of leather. One more idea the will look equally impressive in retro, traditional, and even modern dining rooms is to go with Chesterfield style dining chairs. This is a one of a kind example of a furniture piece that will unlikely lose its relevance in our interiors. If Chesterfield designs are a little too much for you, explore a couple of shimmer studded designs. There are plenty of different models with studs that can decorate a dining room without making it obtrusive. 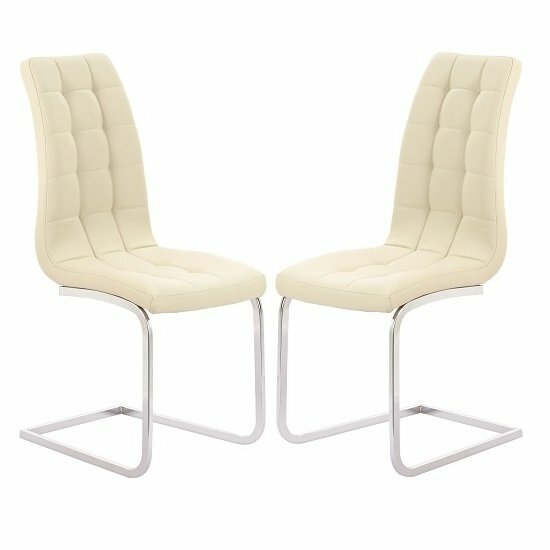 A possible alternative to finding cream leather dining chairs with matching wooden legs would be to look for chairs with matching wooden inserts in the chair back. This solution will give your dining area a logical, consistent look. Finally, do not forget that wood and leather are both very interior neutral examples of materials that usually look good together. So, it is always possible to go with fully upholstered leather chairs, where not only back and cushion, but also base material will be designed in genuine leather. 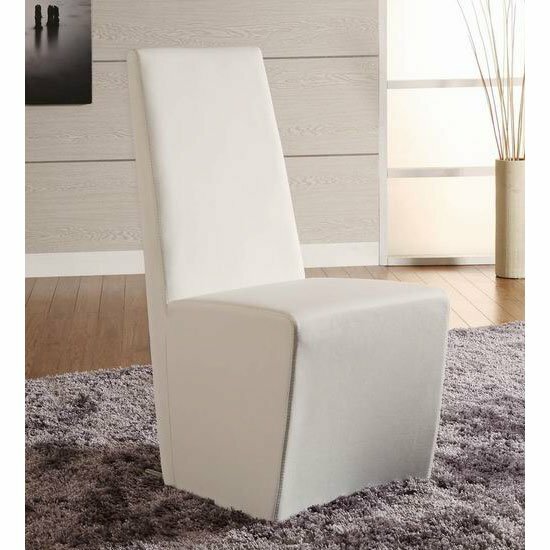 Z-shaped chairs are a superb example in this category. Also, while working on a tradition dining room, there will be plenty of other dining chair ideas, suitable for your room. As you will see, plenty of traditional looking chairs will have dark wood legs — so, these ideas on making them work in your dining room might prove very useful.